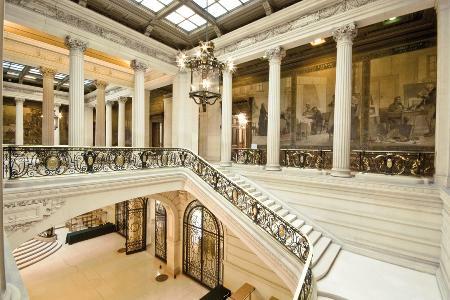 Part of the Investissements d’Avenir program, Labex have ,among other ambition, the one to play a leading role in the teachings of Masters and PhD levels. 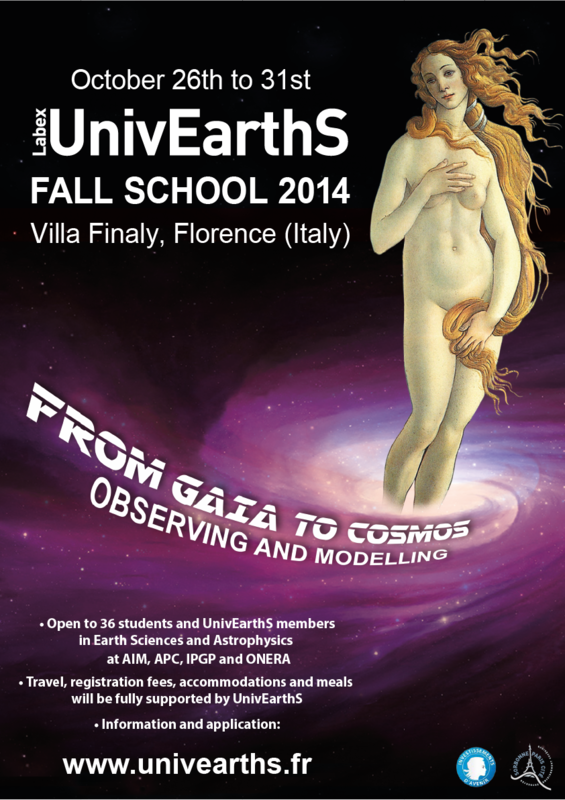 UnivEarthS Labex first Fall School will take place in Florence (Italy) from 26 to 31 October 2014. It is open to students in master’s or PhD in the fields of earth science and astrophysics at the AIM, APC, IPGP and ONERA also to UnivEarthS’s members. 36 places are available, with a full supported of the Labex. Under the theme “From Gaia to Cosmos, observation and modeling,” this Fall school aims to train to the multidisciplinary thematics of UnivEarthS Labex. A cross between educational cultures of the different laboratories will be encouraged. Participants will be required to present a poster on their latest research work. UnivEarthS Labex Fall school applications for registration are close. Applications which complete the conditions mentioned above will be reviewed by a selection committee and an answer will be given as soon as possible. Each participant must complete and present a poster on his latest work. Here the indicative program of the Fall School. – Departure Flight: 4:50 p.m. – arrival in Florence: 6:40 p.m.
– Transfer to Florence airport and back to Paris: return flight 10: 00-11: 50 a.m.
You will find here is the list of school Fall LABEX UnivEarthS’s participants. 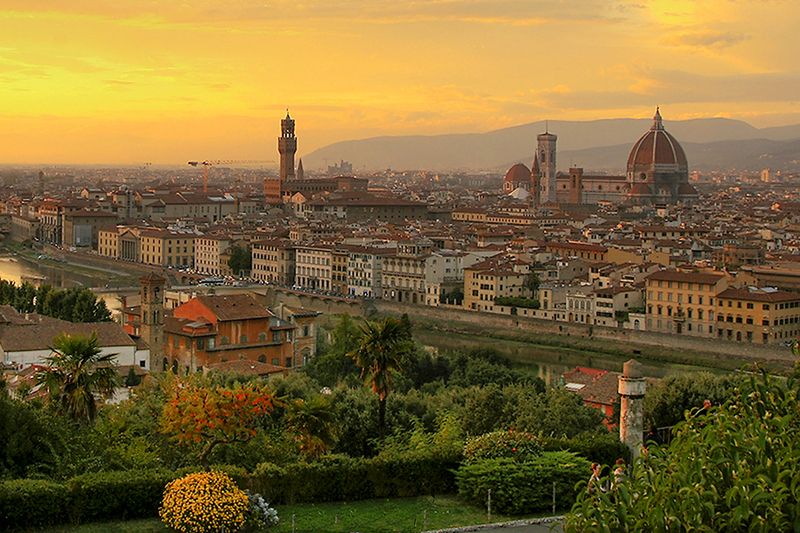 UnivEarths Labex Fall school will take place in Florence from the 26th of october to the 31st. The departure will be on October 26th and return on the 31st, airline tickets dates can not be changed for participants. All costs (transport, accommodation, meals) are supported by the UnivEarthS Labex except for the free time. 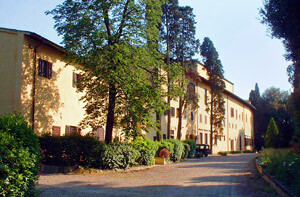 Accommodation will be provied at Villa Finaly. 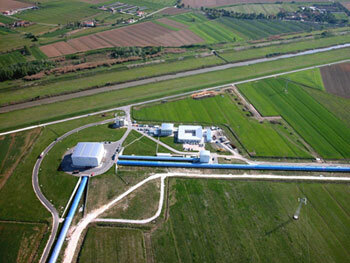 A VIRGO site visit is scheduled on Wednesday.